Since Prince Harry and Meghan Markle's engagement in November 2017, the pair have been happily living in Nottingham Cottage on the grounds of Kensington Palace in London. But it safe to say that plenty has changed since that day – the couple are now husband and wife, and are expecting their first baby together, due in the spring of 2019. So it probably makes sense that Kensington Palace recently announced that the Duke and Duchess of Sussex would be moving from their two-bed city pad to, perhaps, a more family-friendly home – Frogmore Cottage, in the grounds of the Queen’s Windsor Estate. When are Harry and Meghan moving in to Frogmore Cottage? According to a report from ITV News, the royal couple have just moved in to their new home! Reportedly, the Duke and Duchess can now officially call themselves Windsor residents, having left London behind to finally move into Frogmore Cottage. It comes after a lengthy delay to the move, which was pushed back due to the extensive renovation the pair ordered on the building. Reportedly, the couple had been making changes up until the last minute, meaning builders have been working all hours to get it done. So what’s living in Frogmore Cottage like? So what exactly is the new royal residence like? 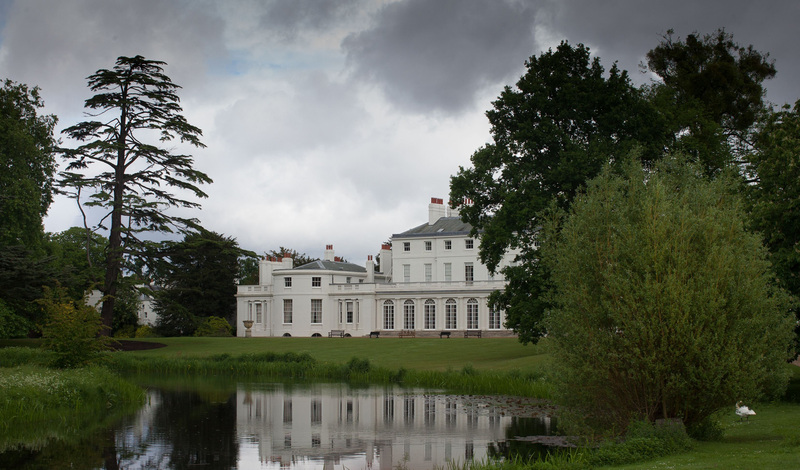 The home, situated just in front of Frogmore House, and the stunning lake ahead of it, is a Grade-II listed building. And while it has a rich royal history, it’s not actually that grand a building – at the moment. Most recently, the cottage has been used as five separate housing units for people working on the Windsor estate – meaning it’s not quite in royal condition as yet. But the ramshackle home is undergoing intense restoration, overseen by the Duchess of Sussex, in order to prepare it for her and Harry, who reportedly also plan to install a nursery and a private gym. The house was first built during Queen Charlotte’s reign in 1801, and later, Queen Victoria’s personal assistant Abdul Karim lived there, in 1897. Later, it was occupied by Russian royal the Grand Duchess Xenia Alexandrovna, during the 1920s. Harry and Meghan are keen art fans, with Harry having wooed his wife with a piece of art worked entitled Everybody Needs Somebody to Love by British artist Van Donna, during their courtship. And now the Queen is said to have gifted the pair a series of paintings from her own personal collection. “Meghan and Harry have been told they can choose some art work for Frogmore Cottage,” a Palace insider told Vanity Fair. It’s reported that Prince Harry and Meghan have drafted in the interior designer of the trendy Soho House, to decorate their new home. Vicky Charles designed many of the private member’s clubs around the world, and it’s probably no surprise that the pair want her to kit out their new home, as they enjoyed many dates at the London and Toronto venues at the beginning of their relationship. Could Frogmore Cottage nod towards Soho House’s country idyll, Soho Farmhouse? So how might she style the Duke and Duchess’ cottage? If the Soho House clubs interior is anything to go by, the home will include plenty of plush, luxury furnishings. It could well feature a whole heap of comfy pillows, alongside daring prints and patterns thrown in there too. It also looks as though the home may be full of colour and antique items as well – like many of the rooms in the Soho House venues. However, designer Vicky has said that designing private homes is very different to the public venues she dresses. Where do Harry and Meghan live? At the moment, it’s thought that the pair are still living in their two-bed/two-bath Nottingham Cottage home in London, just a stone’s throw from the Duke and Duchess of Cambridge’s family home at Apartment 1A. But it’s likely that the couple will be moving out imminently, as they plan to be in their new home of Frogmore Cottage before welcoming their first child. When will the couple move? It had been expected that the Duke and Duchess of Sussex would move to the bigger home of Apartment 1 in Kensington Palace as their family grew. But it’s probably no surprise that the couple decided to move to the Windsor Estate instead. The area is a special place for Meghan and Prince Harry, as it is close to the place they had their wedding, St. George’s Chapel – and of course, Frogmore House, where they took their official engagement pictures and had their wedding reception. Frogmore Cottage also offers the royal couple the kind of privacy and seclusion they likely wouldn’t be able to have in London. Although Catherine and Prince William are rarely seen around their home, the Duchess of Cambridge and her children have previously been photographed on a walk in the Kensington Palace gardens. The Frogmore Estate, near to Windsor Great Park, on the other hand is made up of a huge 33 hectacres of stunning gardens. The estate is only open to the public for just six a year, and even then, access to most parts of the royal retreat is restricted. Plus, increased security is being implemented around Frogmore Cottage to ensure there are no security breaches too, when Harry and Meghan move in. Frogmore Cottage offers the Duke and Duchess an escape from the ‘goldfish bowl’ of London, and it’s still only an hour or so drive back to the capital, for when the pair are conducting royal engagements. When they do move to their new home, Prince Harry and Meghan Markle’s official office will still be at Kensington Palace, meaning they’ll likely often need to head back to their old abode for work too.